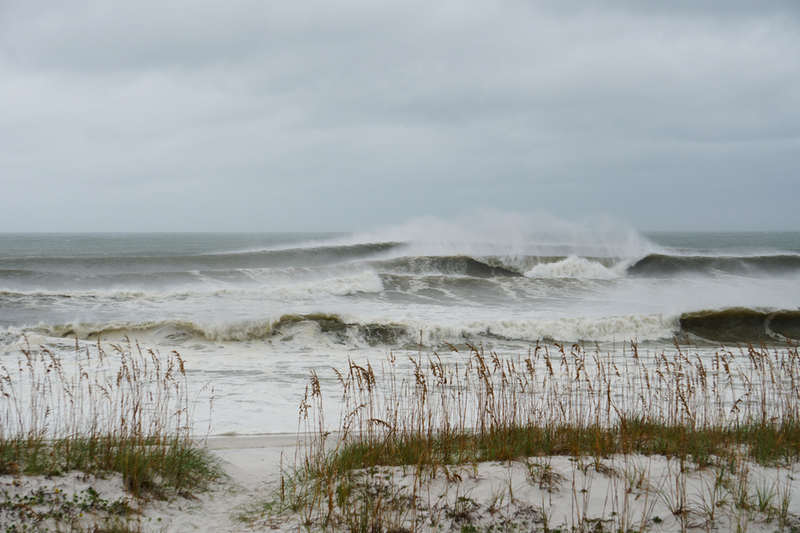 Hurricane Michael is officially one of the strongest storms to ever hit the Florida Panhandle – and the results of that force slamming into the coast may just be one of the wildest sessions we've seen for the likes of the usually somewhat wave starved Pensacola beach. Michael made landfall yesterday lunchtime (local time) near Mexico Beach in Florida with winds of 155mph. According to records, Michael's the strongest storm to hit continental US in more than 25-years. It has since wound down to a Tropical Storm, with its projected path moving north east through North Carolina and south west Virginia before skipping through the Atlantic towards Ireland. 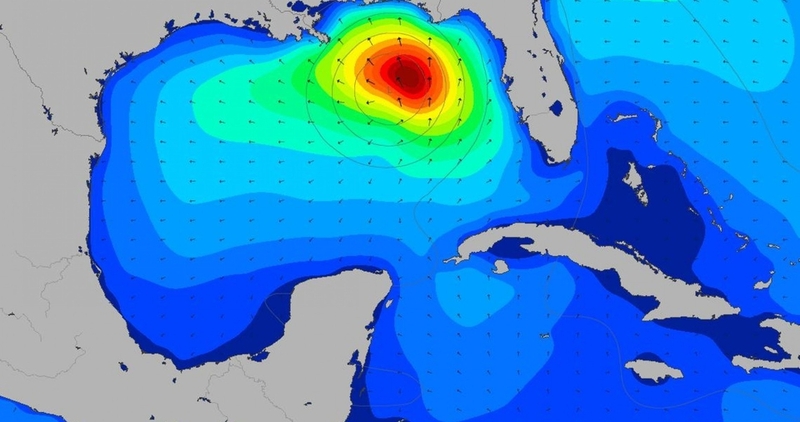 Swell chart shows Michael slamming into the Florida Panhandle, the fetch reaching further west towards Texas. 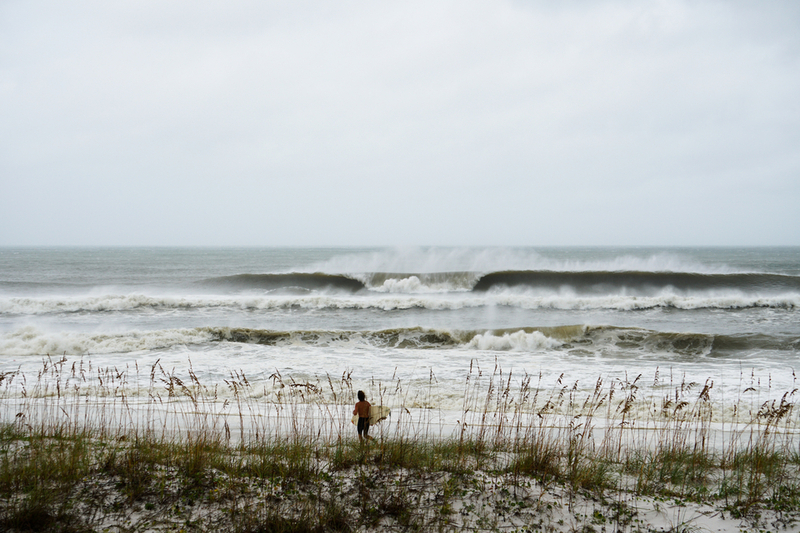 Some 125 miles away from Michael's landfall though and that hard charging crew from Pensacola may have had the best session in the past few years. 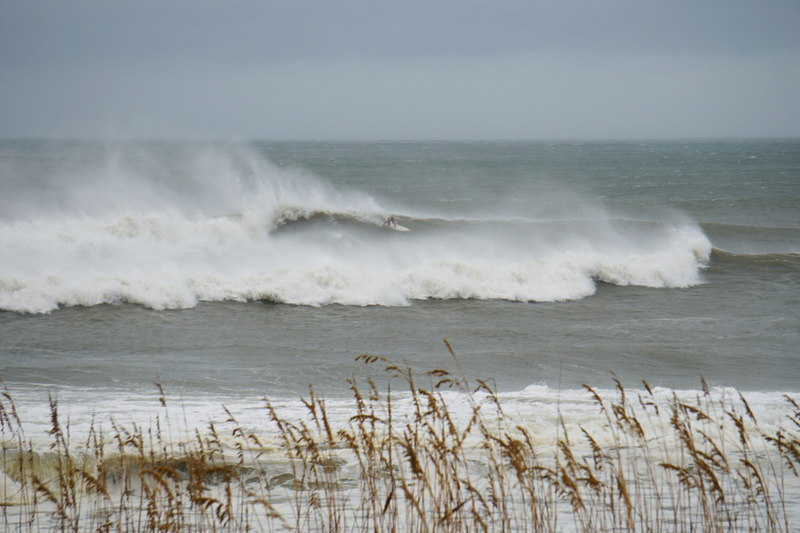 Sure, it was rugged, wind ripped across the face of most waves – but if you've the stones to go, you could huck into one of the waves of your life. Or take a battering from the pier. 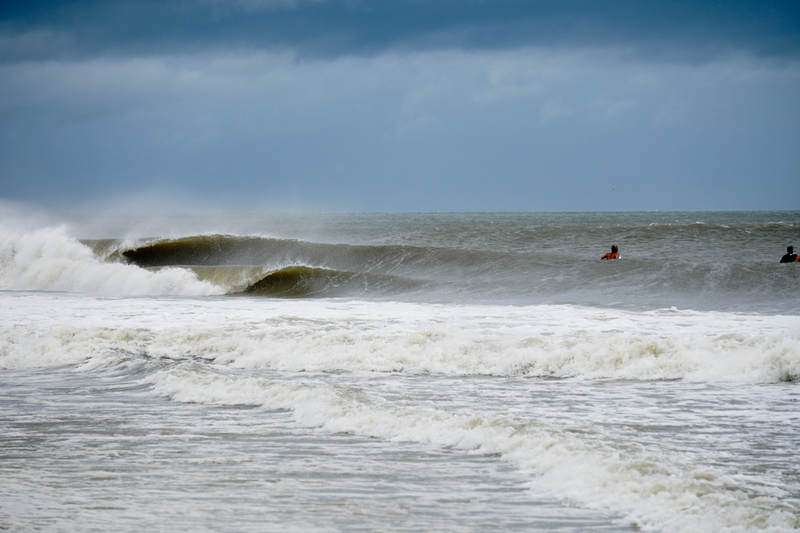 The force of Michael was also felt in Texas, with Surfside picking up a decent chunk of swell. But just how powerful was Michael? Well, some may recall Hurricane Camille which hit Mississippi back in 1969 – and that was the last storm to make landfall with more intensity than Michael. The force of Michael was so much that it remained a hurricane as it swept inland. It was the unnamed Labor Day Hurricane that hit Florida in 1935 that was the strongest on record. Our wind pressure charts shows Michael's path across the US south east seaboard. Max wind reached 155mph. 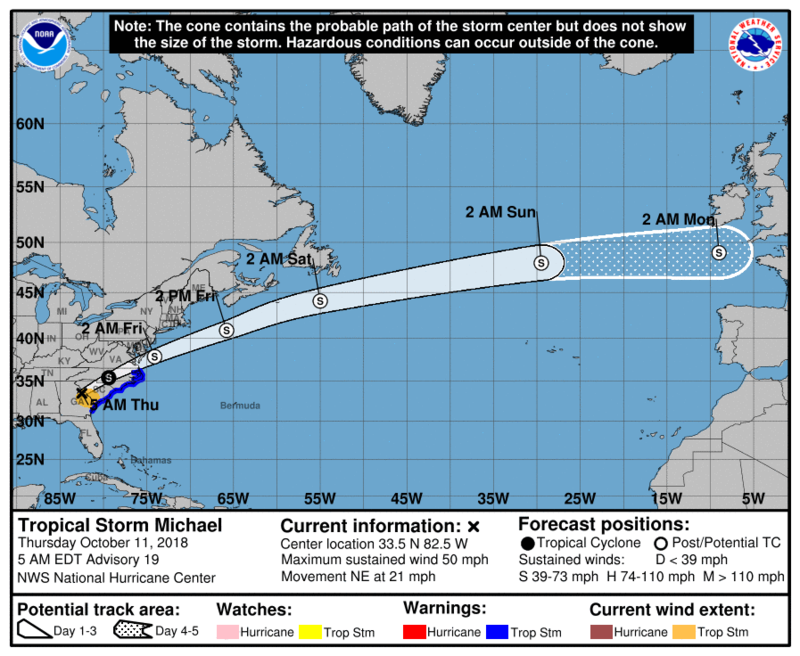 Michael is likely to weaken as it projects towards the north east and Ireland. As hurricanes need water above 26°C to gain strength, it's more than likely Michael's force will ease up – think of them as an engine driven by heat, one which is potentially incredibly destructive but also fragile. Too much wind shear, not enough moist air, or too much interaction with land and the storm will weaken. We'll keep you posted as this one develops. Though you can certainly find some gems in the rough. 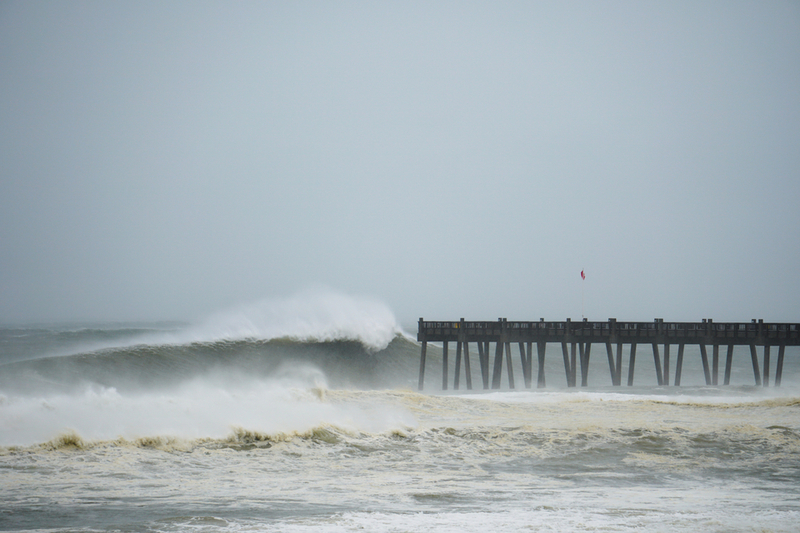 Pensacola beach pier engulfed with 25ft plus waves. Sterling Spencer prepares to take on the beast.